Halloween is one of my favorite holidays, partly because I love costumes and partly because my birthday falls right around Halloween, so I always had a Halloween theme for my parties when I was a kid. 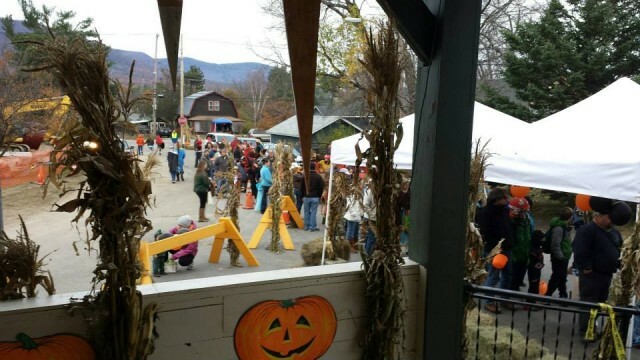 I like to dress up, carve pumpkins, and decorate my house with webs and skeletons, so I was excited to find out how the Adirondacks celebrate Halloween. 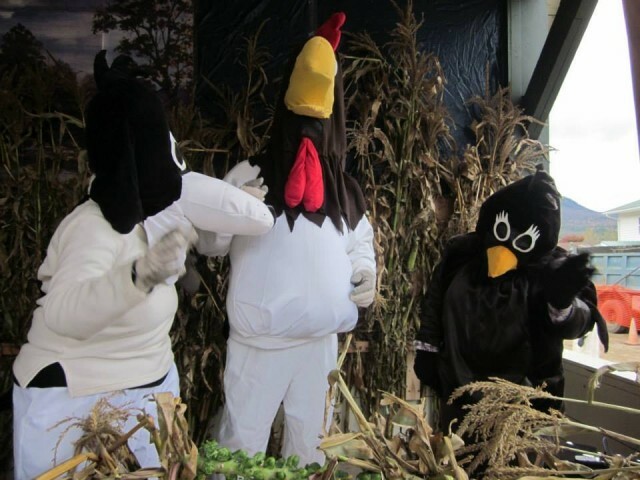 When I heard about Whiteface Range Hall’s Halloween extravaganza in Wilmington, which will be held on October 31 from 4 p.m. – 7 p.m., I knew I had to check it out. I spent an afternoon there recently with Roy Holzer, owner of the Hall and heard all about this fantastic annual event that has become a tradition in this area of the Adirondacks. When I met Roy, the weather was already turning cold, definitely setting the stage for Halloween season! He met me at the Whiteface Range Hall (located behind the Little Supermarket grocery store in Wilmington), and took me inside, filling me in on a little history of the Hall as we went along. He said it had been owned by many different groups through the years, but started in the 1920s as the Help Each Other Club, where people would gather for social activities. Later, in the 1940s, it became an American Legion Post, and in the 1990s it was the site of the Northern Lights School. When the school moved, Roy and his wife bought the building and renamed it the Whiteface Range Hall, offering it as a rental space for gatherings of all kinds. Roy and his wife got the idea for their annual “Halloween at the Hall” event, now in its sixth year, because they wanted to do something that the entire community could be involved in. I could feel his enthusiasm as he spoke, giving me details on an event that brings his small Wilmington community together with the surrounding communities for a safe and fun Halloween! As we walked into the hall during my recent visit, the decorating had already begun in preparation for the event. The front of the building greeted me with wild teeth and crazy eyes, just daring visitors to enter! On the day of the event, there will be a petting zoo with animals from the Adirondack Wildlife Refuge, and an antique fire truck just outside the entrance, so the fun will begin before anyone even gets inside! Then inside is where the real Halloween fun happens! According to Roy, once you enter the Hall on Halloween, there will be people dressed up in different costumes, with a photographer available to take your picture! Be prepared: from what I could see, the stage was already set with zombies, scarecrows and lighted pumpkins! Kids will be able to trick-or-treat through a maze created by bales of hay. In each section, sponsors who have donated their time and treats will pass out those goodies to the kids. Each sponsor – which this year number more than 50 local businesses and citizens - decorates their own space, making it scary (just a little!) or fun, and all do a great job of helping kids and adults enjoy a fun holiday. All of the stations are suitable for kids of all ages. Once the trick-or-treaters get through the maze, they can enjoy a performance of the Adam’s Family on the stage at the back of the Hall. Of course, Roy didn’t want to spoil the fun of a few surprises, so if you want to know what else “Halloween at the Hall” has in store, you’ll just have to be there on the 31st! 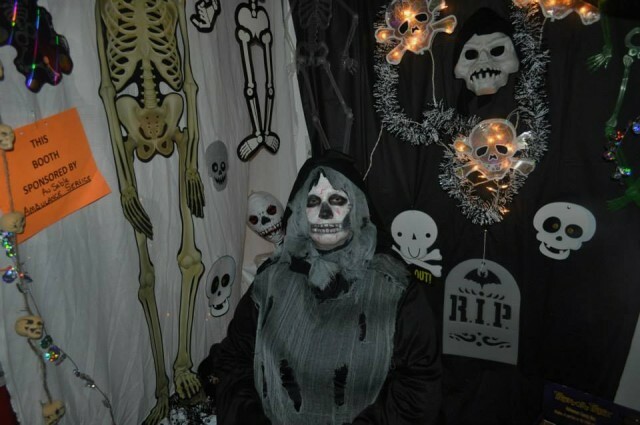 He expects there to be more than 800 people attending, with more than 500 of them being kids that are trick-or-treating in the decorated hall. He said that the event has been growing every year, and that the community seems to really enjoy having a place to celebrate a safe and fun Halloween with their friends and neighbors. Besides all the sponsors who donate their time (there will be signs at each station so you can thank them yourself), Roy has about 100 volunteers who help make sure the event runs smoothly. The admission is free, and it promises to be a blast. Make sure you check out “Halloween at the Hall” in Wilmington this Halloween!